One of the easiest ways to get in touch and effectively communicate with your customers online is adding a contact form to your website: the clients will be able to reach you out directly and preserve a certain amount of privacy at the same time. What’s more, contact forms let you interact with your website visitors without having to actually reveal your email address or other personal data that significantly reduces risk of spam attacks. add-ons and extensions for specific plugins or page builders. 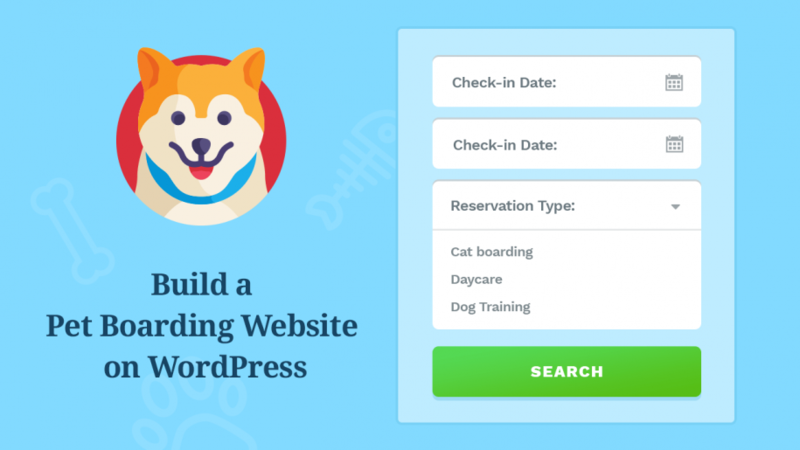 Let’s start looking for the best free contact form WordPress can offer us or find the most feature-packed premium plugin for your website together! If you are using Content Editor by MotoPress to build your website pages and would like to add and edit contact forms visually as well, look at Simple Contact Form Add-on. You will be able to use 9 types of fields for creating forms (checkboxes, radio buttons, text areas and labels, etc.) Anti-spam functionality is backed too: the add-on allows equipping your forms with Google reCAPTCHA. After you’ve installed the extension, a new Contact Form widget will appear among the other available Content Elements of MotoPress Content Editor. Opinion: Decent solution for frontend creation of contact forms with anti-spam protection. The add-on is applicable, however, within one particular WordPress page builder only. Contact Form 7 plugin with its 5+ million installs is truly the most beloved free contact form plugin WordPress has ever had in its plugin repository. 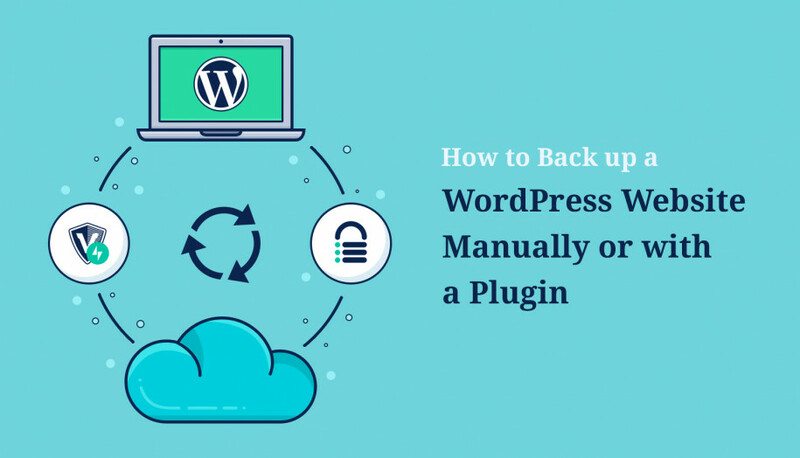 The plugin interface is analogous to that of the native WordPress pre-Gutenberg text editor and doesn’t allow for visual building of the forms. Out of the box, the plugin doesn’t allow viewing gathered feedback in your WordPress admin dashboard either. Opinion: Perfect tool for creating basic online forms with all the primary functionality ensured. MotoPress team uses Contact Form 7 for some of their products as well and highly recommends giving it a try if you are looking for a reliable free contact form plugin. CF 7 won’t be a good fit, however, if you’d like to have visual editing option or third-party integrations by default. 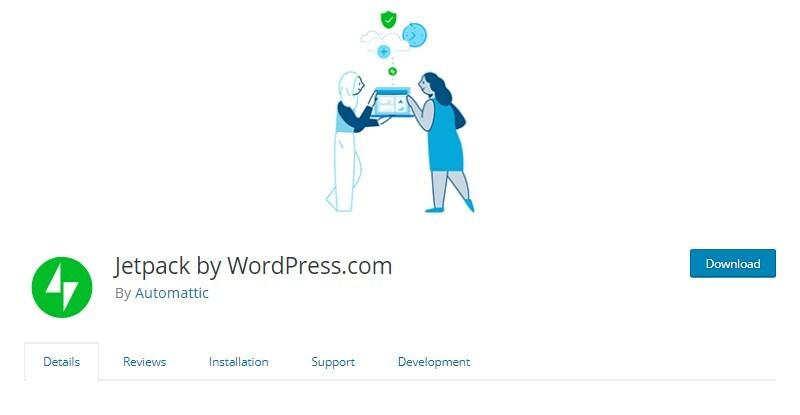 Generally, Jetpack is a feature-rich tool for boosting default functionality of self-hosted WordPress.org sites with more advanced WordPress.com features. The vast variety of Jetpack functions is split into various modules. Contact Form module is enabled on default right since the plugin installation and moreover, it is now possible to create and edit Jetpack contact forms with the new WordPress editor: the plugin adds a custom Form block to the list of default Gutenberg blocks. Each field within the contact form is treated as separate building block of the main form and has quite a large number of available settings to configure. Please note that Jetpack allows adding of maximum one contact form to a page or post. Opinion: If you already have Jetpack installed on your site, there is no need for you to look for additional plugins to create contact forms: Jetpack will be totally sufficient for covering the essentials. 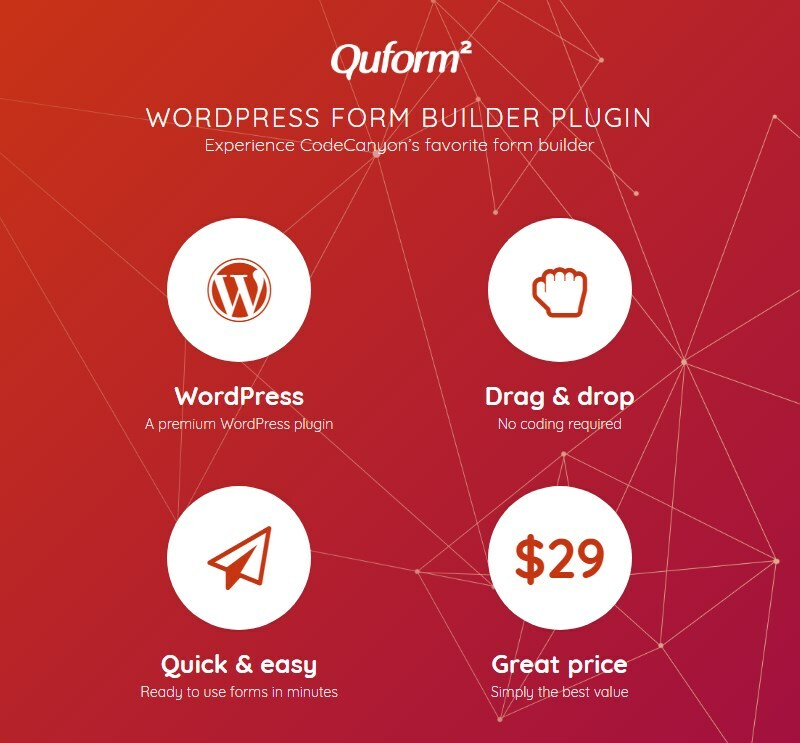 WPForms is aimed at making contact form creation an achievable goal even for entry-level WordPress users: сustom drag and drop form builder and ready-made templates for various types of forms ensure quick and effortless start of form building. The plugin can be found for free download in the WP.org repository but the full potential of WPForms unlocks within the premium version. The pro features are: conditional logic, spam protection, file uploading, multi page forms, PayPal and Stripe integration, signature field, etc. Opinion: If you are looking for a premium plugin that offers intuitive and beginner-friendly form building interface, WPForms will be a perfect choice. Core version of Ninja Forms provides the following features: viewing feedback directly within WordPress admin area, anti-spam options, email notifications of new responses, instant Ajax form submission without page reload. Ninja Forms also offers a user-friendly interface for contact form creation: сhoose a predefined template or build forms from scratch using default or custom fields. Extended functionality can be obtained by purchasing premium addons, sold both separately or in a bundle. The extra addons bring payment gateways, integrations with various email, analytics and CRM platforms and some other advanced functions for form building. Opinion: The concept of the free core plugin and separately sold addons allows you not to pay for the whole bunch of unneeded features and purchase the one extension bringing precisely the functionality you need. Gravity Forms is a premium contact form WordPress plugin that, similarly to the other plugins in our collection, allows building contact forms visually: pick the field type you need and add it to your form or change fields order with drag and drop. The key features of Gravity Forms are: conditional logic for defining contact form behavior to depend on responses entered by users; email notifications of new form submissions; Save and Continue functionality for saving progress of the form filling. Extra addons enable integrations with great number of external services, user registration, discount coupons, etc., and are not available to be purchased individually. The plugin doesn’t offer a free version but provides 3 pricing plans to choose from. The pro features within each pricing plan are complemented by corresponding addon package. Opinion: Gravity Forms will be fit for you if you are looking for an all-round premium solution to get all the must-have contact form functionality covered at once and have the choice of pricing plans as well. Formidable Forms is probably one of the most feature-rich tools to create a contact form for WordPress with. Its free version provides basic functionality such as drag and drop editing, viewing responses within WordPress dashboard, email notifications, etc. Upgrading to pro unlocks more advanced functions the number of which depends on the pricing plan you choose. What’s remarkable is that the premium version offers a good deal of extra functions that are commonly not provided by majority of other contact form plugins. The examples are: creating graphs, tables and other infographic reports based on the feedback gathered; calculator fields for building payment-related forms; form scheduling; autofill for registered users and many more. Opinion: Formidable Forms would be a right choice for developers or developing agencies that create various websites for their clients and need a complex tool to cover any need that may arise. The rich functionality of the plugin may, however, turn out to be excessive for personal or small-business websites. The free version of Form Maker provides a truly generous functionality for both form creation and styling: intuitive builder with 30+ default fields, submissions visible on the back-end, multi-page forms, 14 styling themes, 4 form display options (Embedded, Popup, Top Bar, Scrollbox). Pay attention, however, that you are allowed to create forms consisting of maximum 7 fields within the free version. Plugin’s premium version is offered in 3 pricing plans, all of which enable PayPal integration, file uploading and adding unlimited number of fields. The pricing plans differ in number of supported domains and length of access to updates and support. Opinion: If you are looking for a plugin offering visual form building and a decent set of advanced design and styling features, Form Maker by WD would be a good choice. With Everest Forms you’ll be able to either stick to the free basic version or choose among 4 premium pricing plans. Features available for each version, including the free one, are: unlimited number of fields, form responses in WP Dashboard, Google reCAPTCHA, CSV data import, multiple recipients for email notifications. All the plugin versions also allow creating contact forms with visual drag and drop builder that is truly intuitive to use. 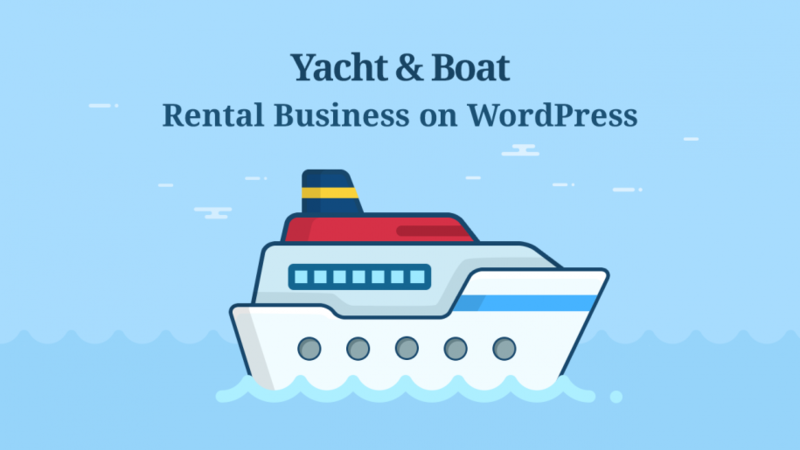 Features like multi-page forms, PayPal integration, conditional logic and file uploading are enabled via addons that are included to the paid pricing packages. Opinion: Everest Forms will be suitable for the users who don’t necessarily need wide range of features for contact form creation, however, still would like to enjoy handy visual form building, professional support, regular updates and all the other benefits of a decent premium WordPress plugin. Caldera Forms is rightly considered to be a plugin offering one of the richest sets of features available in free version. Options like WYSIWYG editing, conditional logic, multi-page forms, auto responding, file uploading, email validation and anti-spam honeypot will be enabled for you at no cost. Therefore upgrading to pro with Caldera Forms is more about making free functionality more advanced and less about increasing the actual number of features. At the same time, 30+ free and paid addons allow integration with external analytics, email marketing and payment services. The addons can be purchased separately or as a part of addon bundles for each premium pricing package. Opinion: Caldera Forms would probably be one of the best solutions if you are looking for a free plugin with robust functionality. The user interface of the plugin’s form builder may seem somewhat unhandy but once you get used to it, you’ll find it ok.
Quform premium contact form plugin owns all the important features for creating both basic Contact Us forms and forms with more complex layouts: the plugin provides multi-page forms, reusable fields, conditional logic, access to received feedback directly from WordPress Admin Panel and a lot of other essential features that can be found in majority of contact form plugins. The plugin also offers visual form builder that is, however, a bit different from the ones provided by other plugins of this kind and usage of which may take some getting used to. Opinion: Please note that the plugin is at the moment offered to be purchased for a single-site use only: multiple and unlimited site licenses are currently not available. This makes the plugin suitable for creating personal or corporate websites but inapplicable to be used by developers. This plugin is aimed at creation of simple contact forms with basic Name, Email, Subject, Message and a couple of other prFformiimary fields. The free version offers quite limited number of features: changing forms’ width and alignment, drag and drop reordering of fields and file attachment option. The pro version adds extra fields to the form (e.g. required checkboxes ‘I agree to the terms and conditions’, etc.) and enables basic style customization. The number of forms to be created with the plugin is by default limited to 1 but you can purchase a Contact Form Multi extension to overcome the limitation. Opinion: Contact Form by BestWebSoft will be a sure choice if you are looking for a plugin to add a simple form to the Contact Us page of your site. If you would like to create multiple contact forms of different types, we’d suggest considering other options. 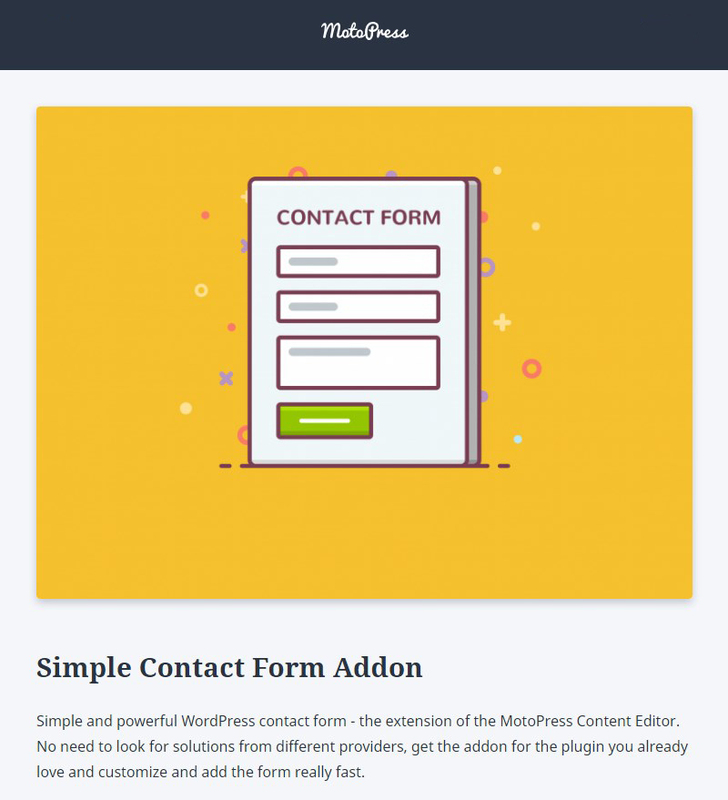 HappyForms free contact form plugin ensures all the essentials of contact form creation and allows building forms via visual builder with interface analogous to that of WordPress Live Customizer. You will be free to create unlimited number of forms and duplicate them, build multi-column forms and keep them secure from spam with Google re-CAPTCHA or HoneyPot. Submission confirmation messages for users, email notifications of new responses for admins and viewing feedback in WordPress dashboard are available too. The plugin is Gutenberg-compatible: it adds a custom HappyForms block to the list of default blocks in the new WordPress editor. Opinion: HappyForms will fit the bill for those who would like to get a fully functional tool for creating contact forms at no expense. Unlike the Contact Form 7 plugin, which also comes in a free version only, Happy Forms offers much more user-friendly UI and more extended functions but still would not beat the popularity and straightforwardness of CF 7. The functions of Forminator are not limited to creating contact forms: the plugin also provides two pre-arranged modules for building various types of quizzes and polls. As for the contact forms themselves, the available options are quite decent too. Visual form builder of Forminator has a truly intuitive and clean user interface. Along with picking necessary fields for the form you are creating, you’ll be able to configure settings for design, emails, integrations and other parameters from one place in a couple of clicks. Forminator is compatible with the new WordPress Gutenberg editor and lets you extend its basic functionality via integrations with 8 external platforms and services as well as view form entries in WP Admin Area. Opinion: Forminator is a proper choice if your aim is equipping your website not only with contact forms, but with other elements for increasing user engagement like polls, surveys or quizzes. Free Form Craft version takes care of the no-frills basics: 8 types of fields, email notifications of incoming submissions, fields validation. Premium version of Form Craft unlocks more extended functionality: pre-styled templates, analytics and stats to assist processing of received feedback, conditional logic and basic math formulas, etc. Integration with external payment or email marketing platforms and some additional features like multiple page forms can be obtained via free and paid addons. 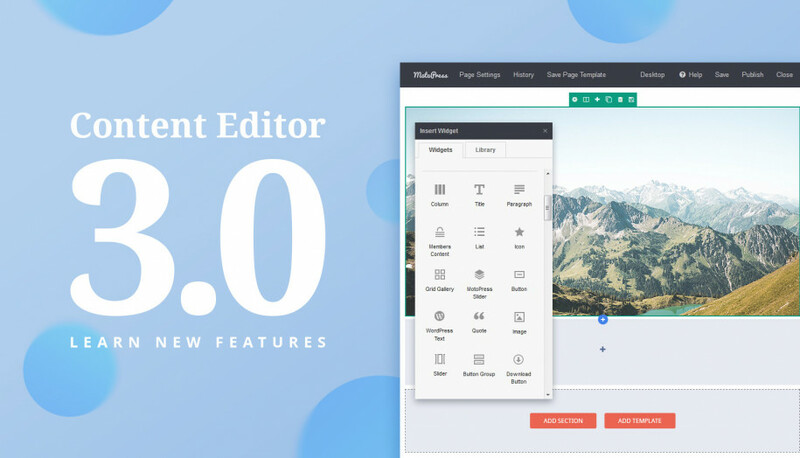 Opinion: Premium version of the plugin ensures all the must-haves and will be sufficient for backing essential needs of an average business or personal website. Lite version can, of course, be used as a standalone plugin, however, won’t be suitable if you’re in search of a free plugin with large number of features. best go-to choice for Jetpack users: Jetpack Contact Form module. Do you agree with our verdict? Which one do YOU consider the best contact form WordPress plugin? Tell us in comments below! MotoPress Content Editor 3.0: What’s New?